Vital proteins will help to fix the gut lining and heal and seal a leaky gut. It can repair connective tissue and ease Arthritis pain. 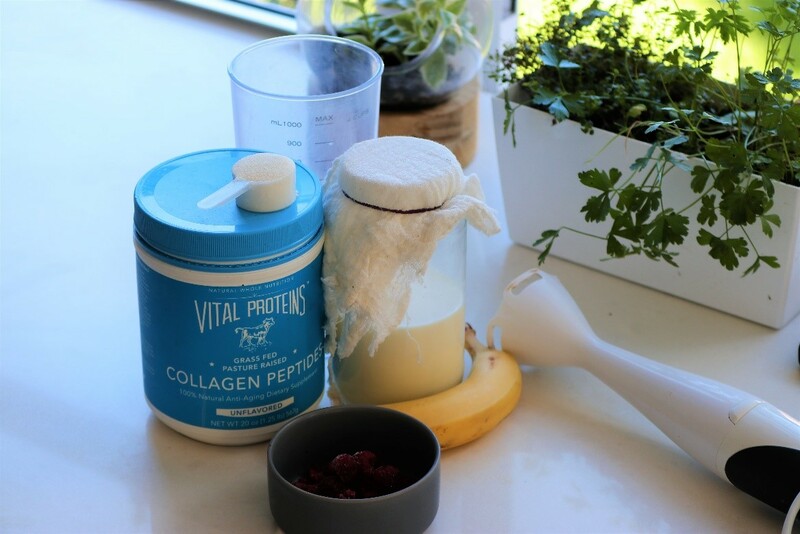 Collagen peptides supply amino acids that are needed to build new collagen.Vital Proteins restores and enhances your body’s natural beauty. They work from within to enhance your skin, hair and nails, naturally. Collagen helps restore the skin’s moisture, improving the elasticity, tone and vibrancy. It is a simple way to combat the signs of ageing. 1 banana and ½ cup raspberries or any other fruit in season.